I truly enjoyed my time at the Illinois Computing Educators Conference last week. It’s always great to have a chance to engage in real conversations with innovative educators, instead of exchanging ideas through tweets and emails! And of course, it’s fantastic to meet so many educators who are passionate about using technology as a tool for learning. I attended some really great sessions and I also facilitated some sessions, but I was truly re-enerergized by the conversations that happened along the way. These deep and extended conversations happen best when educators go outside the walls of their schools and gather together in person to share ideas. Of course, if you weren’t able to attend ICE15, there’s still a lot to be learned by exploring the wealth of resources that were created and published by those who presented. Here are 3 interactive resources I shared at #ICE15. Explore the interactive slideshow from my general conference session. It is filled with tools and resources to help educators leverage the power of tech to differentiate instruction and it is totally powered by ThingLink_EDU. View the archived webinar to share the winning images from the Science Creative Challenges and get inspired by the amazing educators that created them. The webinar was broadcast live from ICE on February 24th. During this workshop, participants worked their way through the interactive resource below to learn to get started with ThingLink and create interactive activities for students, powered by Google Drive. It was quite useful to add resources to the interactive resource as we went through each of the lessons, adding tags to provide answers to questions and more information. This session was so much fun, mostly because of the amazing educators who attended. What enthusiasm! Explore this interactive image to find lesson plans, activities and examples. Get presenter resources and shared notes from sessions on the Presenter Resources page of the ICE Conference Website. Follow @ICE_Il and use the hashtag #ICE15. Join me and Dan Gallagher for a webinar to celebrate the best science images submitted to theThingLink Science Creative Challenges. Explore the amazing winning science images submitted to the ThingLink Science Creative Challenges to support learning in the fields of life science, physical science, or earth and space science. Get inspired by our guest panelests Laura Moore, Christi Collins and Patricia Merlino as they share their winning images. Learn more about the current Creative Challenge for a chance to win a $200 Amazon Gift Card. Join us live at 8:00 PM EST OR sign up to receive a copy of the archive in your in box. Sign up for this free webinar. This post was originally published on the ThingLink Blog. Every year at this time of year I get excited about attending the Illinois Computing Educators Conference, #ICE15, in Chicagoland! I love the energy and excitement that forward thinking educators bring to this event. 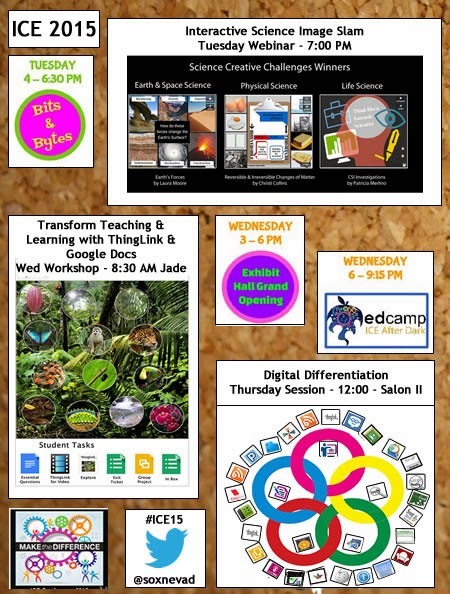 I will be bringing plenty of ThingLink bling to share at the social events, as well as hosting some sessions. Here is what I have planned while I’m there. Join me and Dan Gallagher for a webinar to celebrate the best science images submitted to the ThingLink Science Creative Challenges. Explore the amazing winning science images submitted to the ThingLink Science Creative Challenges to support learning in the fields of life science, physical science, or earth and space science. Get inspired by our guest panelests Laura Moore, Christi Collins and Patricia Merlino as they share their winning images. Sign up for this free webinar today! With an abundance of digital tools to choose from, it’s important to develop a flexible toolkit of resources to meet a variety of unique teaching and learning needs. Keep it simple with just two amazing multimedia rich tools, ThingLink and Google Docs. Learn to extend the learning beyond the classroom walls. Help students construct knowledge as they create. Provide students with differentiated resources. Participants will get their hands on some useful templates, explore inspiring examples and expore the endless possibilities that exist during this workshop. Technology is a tool that can be used to help teachers facilitate personalized learning experiences to address the diverse needs of all students. At the most basic level, digital tools can be used to help students find, understand, and use information. When combined with student-driven learning experiences that are fueled by essential questions and offer flexible learning paths, use of digital tools can break the learning barriers that exist in our classrooms. Attend this session for an overview of digital tools and resources to design personalized learning experiences that effectively incorporate digital differentiation. This session and resources are powered by ThingLink EDU. 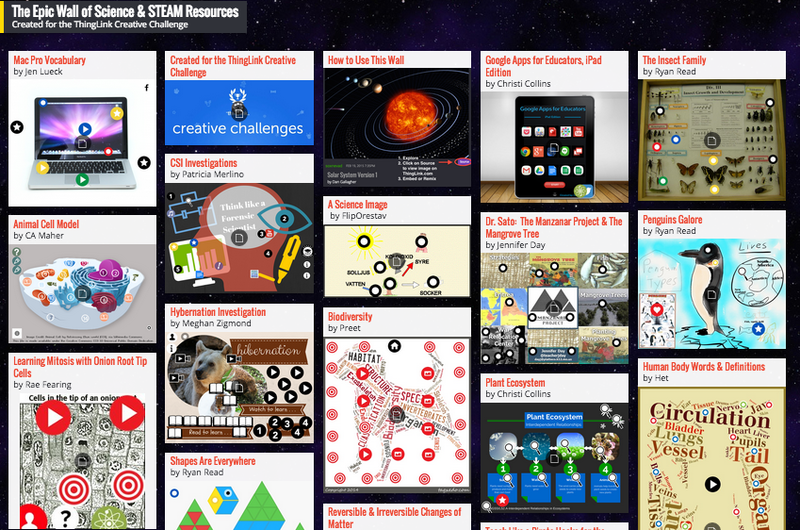 ThingLink is pleased to announce the winners of our first 3 Science Creative Challenges. With many amazing images to choose from, it was very difficult to choose one winner from each category. The tie-breaking factor in each case came down to the level of student engagement. The winners of each of these challenges will be awarded 3 Premium EDU accounts to give to teachers at their school. Congratulations to Laura Moore, Christi Collins and Patricia Merlino! Many thanks to everyone who submitted an image. –> Click the ThingLink Creative Challenges icon on any of the images above to explore, or go to the ThingLink Blog to explore all three winning images. Join me and Simple K 12 for a free online event on Saturday February 14th dedicated to helping teachers learn to use Free Web Tools. I am excited to be offering Digital Differentiation, Tools for Finding Information at 11:00 AM EST. Explore this interactive graphic to learn more about each of the webinars. Be sure to click on the pencil to sign up to participate in one or more of these awesome webinars. We hope you can join us for this don’t miss event! 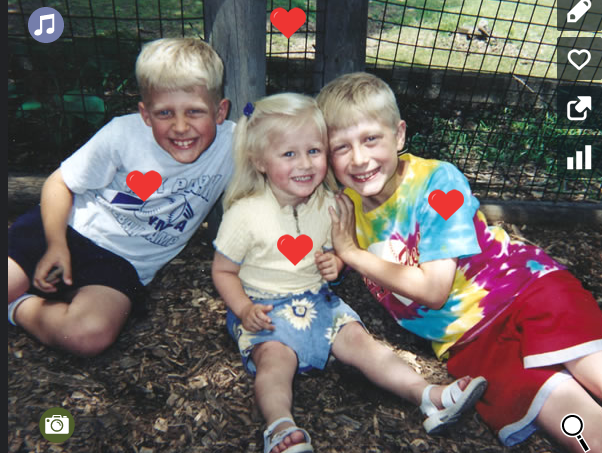 ThingLink has created a fabulous new heart icon just in time for Valentine’s Day! Why not create some interactive Valentines to share a little love and express your feelings with more than just words. Start with a photo or image, add tags with text, video, audio or weblinks, and experience the power of this multimedia rich tool! Watch this video to learn how to create a ThingLink. Create an interactive Valentine and bring a smile to someone’s face. Get more ideas on the ThingLink blog. Great news! ThingLink has recently launched the SuperBowl Creative Challenge, inviting all users over the age of 18 to share your SuperBowl story through an interactive image. All entries will be entered in a random drawing to win a $200 Amazon Gift Card. As the ThingLink EDU Community Manager I spend a lot of time working with teachers to help them start using ThingLink for teaching and learning. The single most consistent piece of advice I give to new users is to start with something simple. I encourage new users to create an interactive image about something you know about to experience the ease of use of the tool itself without worrying about creating new content. I realize that once you create that first image, you will soon discover that anything is possible with ThingLink. This Creative Challenge is also a great opportunity for experienced users to create some great examples of ways to use ThingLink for digital storytelling. Let your imaginations run wild as you demonstrate ways to use video, audio, text and app smashing to tell your SuperBowl digital story. For those of you who teach others to use ThingLink, please share this opportunity as a starting point with the added bonus of an incentive! If you are new user and feel you could benefit from some support, please take 5 minutes to watch this quick video. 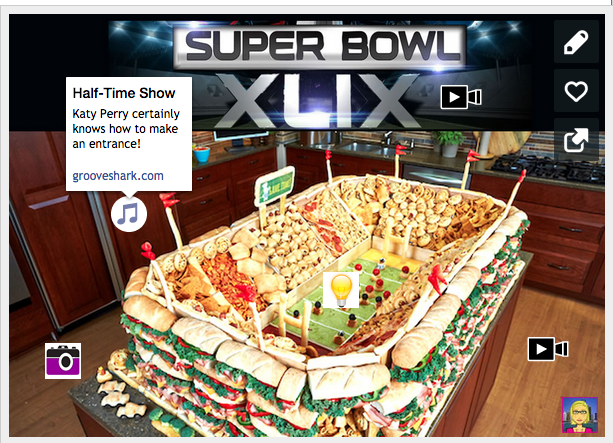 Learn more about the SuperBowl Creative Challenge and view examples already submitted by clicking on this interactive image. Looking for an EDU Creative Challenge? 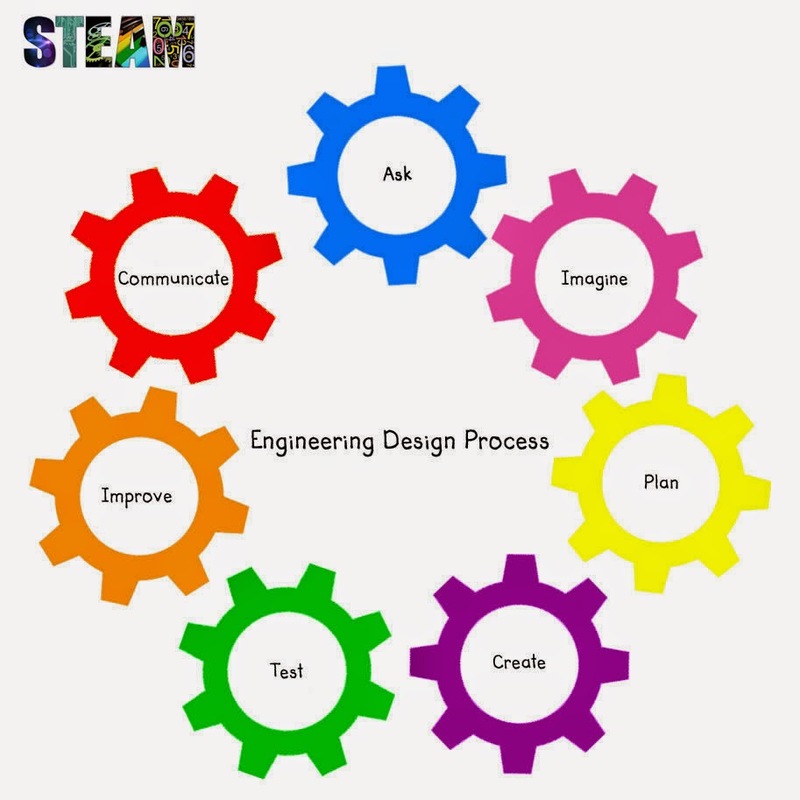 Check out the 3 STEAM related Science Creative Challenges available on the page and stay tuned for our Tech and Engineering Challenge to be released on Feburary 7th.